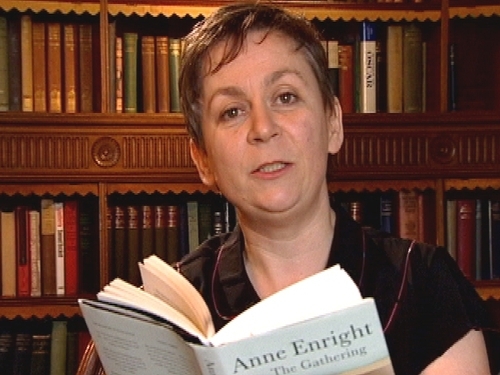 Dubliner Anne Enright has won the Man Booker Prize, one of the literary world's most prestigious awards. Judges said they found her bleak Irish family saga 'The Gathering' to be 'a very powerful, uncomfortable and even at times angry book'. Howard Davies, chairman of the judges, said it was 'an unflinching look at a grieving family in tough and striking language'. Judges spent two-and-a-half-hours picking the winner of the £50,000 (€71,000) prize. Ms Enright herself has described the book as 'the intellectual equivalent of a Hollywood weepy'. Authors Ian McEwan ('On Chesil Beach') and Lloyd Jones ('Mister Pip') had been favourites by different bookies. Other nominees for the award were Nicola Barker ('Darkmans'), Mohsin Hamid ('The Reluctant Fundamentalist') and Indra Sinha ('Animal's People'). Mr McEwan won the award in 1998 for his book 'Amsterdam' and was also shortlisted for 'Atonement' (2001), 'Black Dogs' (1992) and 'The Comfort of Strangers' (1981). All the other writers have been nominated for the first time.